Talk about a bold statement! 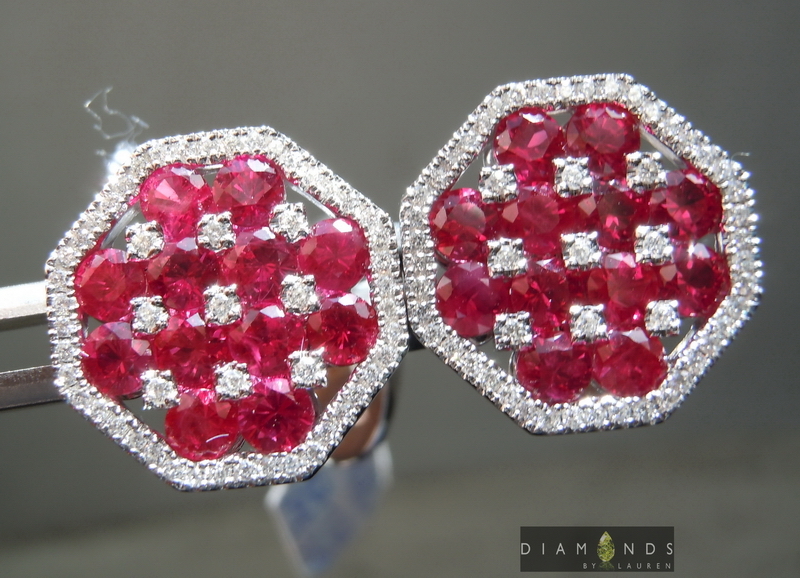 These 18kt white gold ruby and diamond cuff links measure 5/8 of an inch across - which is an impressive size. 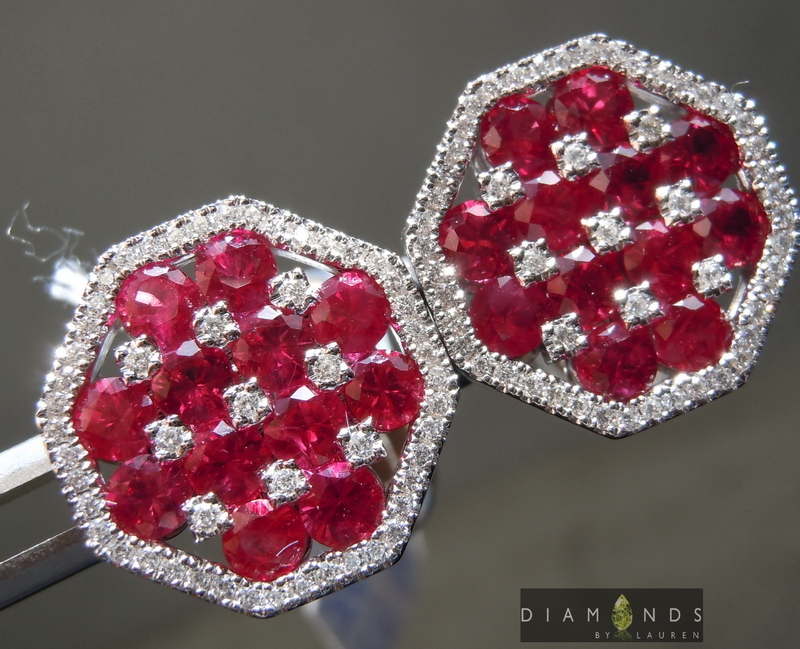 The natural Rubies are a rich red color, in stark contrast to the icy white diamonds. The mechanisms are art in motion. Secure and perfectly made. 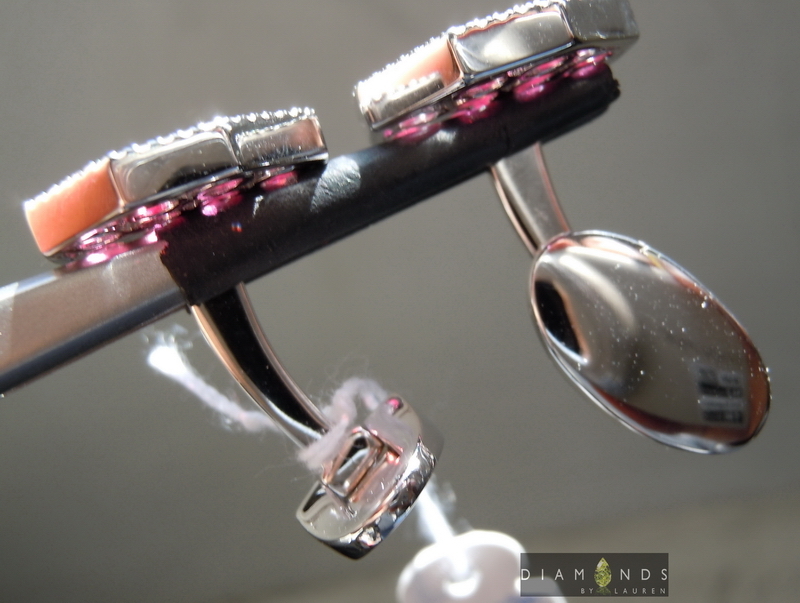 The photos above are ACTUAL Photos of the diamond and ruby cuff links you will receive.